I read this article and found it very interesting, thought it might be something for you. The article is called India’s Malnutrition Problem Defies Higher Spends and is located at https://archive.indiaspend.com/cover-story/indias-malnutrition-problem-defies-higher-spends-58449. India is likely to have 33% malnourished children by the end of 2015 while the target under the United Nations’ Millennium Development Goals (MDGs) is to bring it down to 26%. India has more malnourished children than sub-Saharan Africa and nearly one-in-every-5 malnourished children in the world is from India. The latest National Health Survey (NHFS 3, 2005-06) of Ministry of Health shows that 42.5% of Indian children Under 5 years are underweight. The recent death of infants in Malda district of West Bengal has once again brought to light the pressing problem of malnutrition in India. Most efforts to fix this problem have focused on providing nutrients, mineral rich food while what may matter more, as is increasingly evident, is factors like the mother’s health and hygiene and sanitation. While the Government has stepped up spending to tackle malnutrition, it does not, however, do much to address the other causes. India is likely to have 33% malnourished children by the end of 2015 while the target under the United Nations’ Millennium Development Goals (MDGs) is to bring it down to 26%. 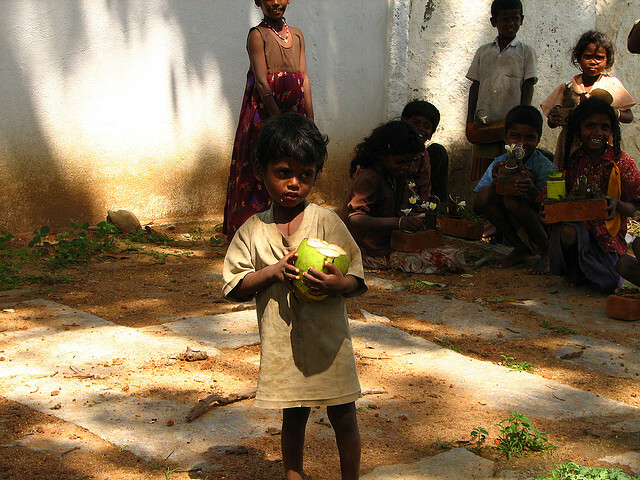 According to UNICEF and the Global Health Database maintained by World Health Organization, India has more malnourished children than sub-Saharan Africa and nearly one-in-every-5 malnourished children in the world is from India. Malnutrition is one of the leading causes (about 50%) of all childhood deaths. And malnourishment at an early age can lead to long-term consequences as it affects motor, sensory, cognitive, social and emotional development. A study conducted by medical journal Lancet in India found that 78% of the infant mortality in India was due to low birth-weight and diarrheal diseases. This shows there is not just a need to focus providing essential nutrients but also better hygiene and sanitation. The last available National Health Survey (NHFS 3, 2005-06)of Ministry of Health shows that 42.5% of Indian children Under 5 years are underweight. The prevalence in urban, rural areas and scheduled tribes is 32.7%, 45.6% and 54.5%, respectively. This figure is of course very old and must have changed. Now for some positive news: there has been a decline in the number of malnourished children from 52.7% in 1991-92 (NHFS 1) to 47% in 1998-99 (NHFS 2) and to the current level of 42.5% in 2005-06 (NHFS 3). It stands to reason that the decline in the subsequent decade to the present period must also be in the 5-7% range, possibly higher if you look at other economic indicators that have improved. We can see that most of the interventions have actually seen an increase in allocations. While ICDS has seen an increase of 26% for the current year over the previous year, the mid-day meal scheme has seen an increase of 5%. The RGSEAG has seen its allocation double this year to over Rs 1,700 crore. Let us now look at health-oriented schemes: The ‘Sabla’ scheme was launched in 2011-12 to provide an integrated package to adolescent girls, which includes nutrition, micro-nutrient supplementation and health check-ups. A total of Rs 787 crore has been released for 2010-12. And the IGMSY scheme was launched to address malnutrition among pregnant women. So, the allocation has more than tripled from Rs144 crore in 2012-13 to Rs 553 crore in 2014-15. The highest allocation this year (Union Budget 2014-15) is for the national nutrition mission. The programme was launched in September 2003 for policy direction and effective co-ordination of nutrition programmes being implemented by the Government. Conclusion: Firstly, despite targeted efforts, malnutrition rates remain high and subsequently the infant mortality rates in the country have also not come down. One solution is to clearly work more exhaustively on the outlying areas, like hygiene and sanitation. This calls for tighter co-ordination between departments and spends. Which in general is a campaign promise by the current Government, to make ministries and departments work better together.